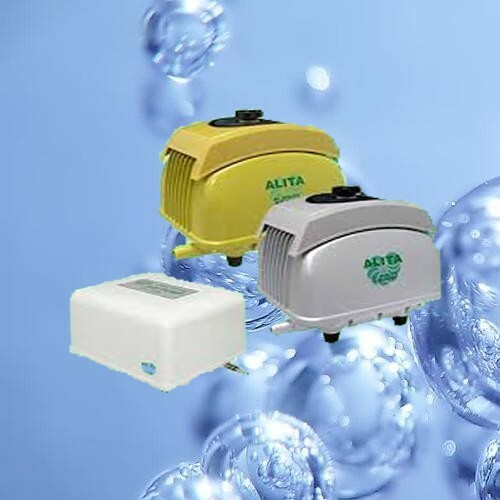 Designed to deliver high volume of steady airflow at low-pressure ranges, ALITA Linear Air Pumps are of high efficiency, low energy consumption and perform with low operation noise. 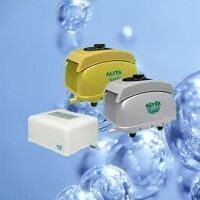 With no sliding parts and oil-less components, ALITA air pump requires no lubrication and transfer air without any contamination. EnhanceAir Aeration. Unique 360 ring shapes to improve water circulation. UL and CE approved - fully safety rated for outdoor use! 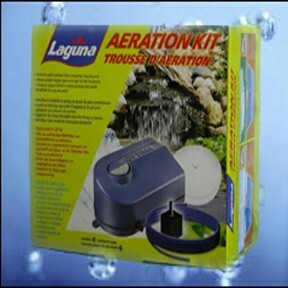 Laguna Aeration Kit includes everything you need to enhance the quality of pond water during the cold winter months as well as the hot summer season. In winter, it creates an opening at the pond surface and prevents the surface from completely freezing over. This allows the release of toxic gases and the replenishment of fresh oxygen that is critical for the survival of fish. In the summer, it provides supplemental aeration which improves the quality of pond water and its inhabitants. 30 ft (9 m) airline tubing. 1" (2.5 cm) air stone. 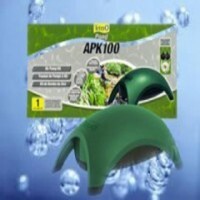 Winter survival solution that provides crucial oxygen for the fish in your pond. 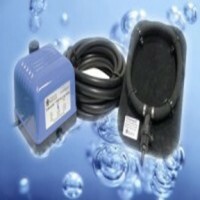 Suitable for ponds up to 5,000 gallons. Includes two air stones.